Birthday cakes and anniversary cakes? Yes! Jeanne’s Traditional Cakes (our Famous Log cake) are created with a shortbread cookie crust and dark chocolate shavings on the sides. 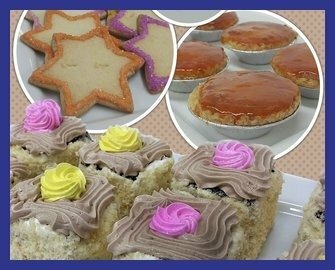 Traditional Cake Flavours: White, Chocolate, Marble, or Banana….click here for more! 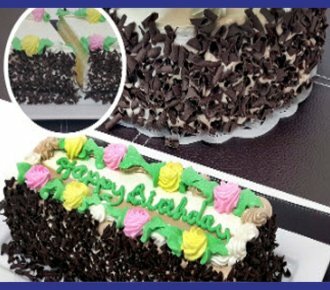 Looking for unique birthday cakes or anniversary cakes? 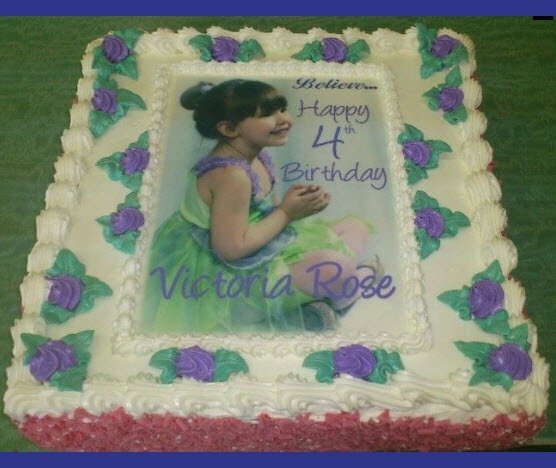 Your photos on the best loved photo cakes in Winnipeg! Great for celebrations of any kind, find out more here…. Our famous log cakes are created with the legendary shortbread cookie crust on the bottom! They come in sizes that can serve between 6 and 35 people! Great for birthday cakes and anniversary cakes for young and old! 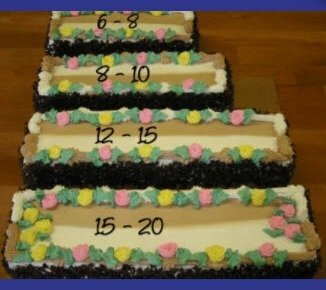 We Can Make a Custom Log Cake for You That Serves Up To 50 People! 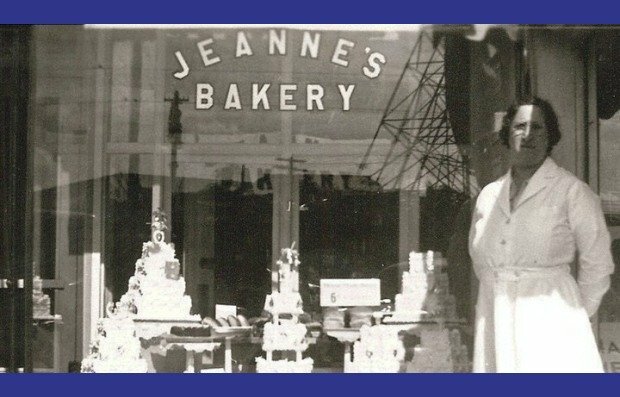 Jeanne’s Bakery began serving their delicious dainties and cakes to Winnipeggers in the early 1930’s. 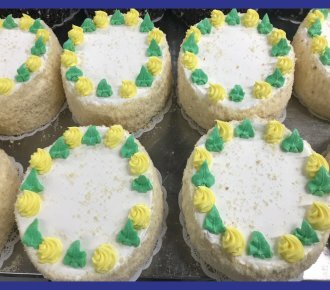 Although we may be best known for our famous log cakes with the cookie bottom, we have fresh baked dainties available for pick up at the 931 Notre Dame bakery! Forgot a birthday or other celebration event? Drop in and pick up the Jeanne’s Traditional Round Cake, perfect as birthday cakes! They are created with the famous shortbread cookie crust and are available in White, Chocolate, Marble, or Banana. You can upgrade to Red Velvet or Banana Chocolate and even…. Black Forest – Lemon Meringue – Apple Crumble! My family has always had a Jeanne log cake for every birthday since I can remember! My husband and I then decided to continue the tradition by having them as our wedding cakes this past summer! Best choice we could have made! Jeanne’s Bakery is ahead of their time. Chocolate curls, cookie on the bottom, buttery icing so good you’ll be singing while you eat. I feel bad for all other cakes that aren’t made by Jeanne’s Bakery. If you eat one thing today, make it a cake by Jeanne’s Bakery. Banana and marble are my fave. Jeanne’s has been family favourite forever! We have it for Birthdays, Anniversaries or just because! Usually it’s the marble log we get but sometimes Banana and my dear Mom loved white! My late sister ( in law) Barb was the biggest fan! When they moved to BC more than 25 years ago …. a cake came along with the luggage! I want to thank you for especially boxing cakes to make it easier to take on the plane! The joy we’ve shared and memories are too many to mention! Now I need some Jeanne’s Cake!! Jeanne’s cakes are my favourite!! The chocolate curls, cookie bottom and mmmm the flavour!! I’m not a fan of overly sweet baking and Jeanne’s cakes are perfect. The icing is silky and not overly sweet and the cakes are well balanced with flavour! The banana cake is my personal favourite � I won’t settle for any other cake! I have had Jeanne’s cakes for my birthday for as long as I can remember. It’s still a tradition in our family. We always had a few rules such as the fact that birthday person got the end piece; and no dedicating the cake by going for the other one. I also discovered (at I’m not sure what age) that Jeanne’s birthday cake makes a great breakfast!!! What Did The CBC Discover About Jeanne’s Bakery?